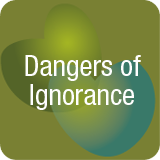 Dangers of Ignorance – This category cautions caregivers and those needing care to fully investigate resources and recommendations as those providing the information do not always have extensive experience in the areas in which they are making recommendations. Well -meaning individuals looking in from the outside often cause more harm than good in caregiving situations. Some older adults are trusting and vulnerable to outside influence. Refusing rehabilitation after an accident is rarely a wise decision. Maintaining strength and flexibility is important to avoid unnecessary accidents, hospitalizations and nursing home stays. Tales of The Caring Generation: The Story of the Lone Cow (podcast 6:37 playing time) Click Play below to listen. Heart disease tops the list of chronic diseases resulting from aging. It is one of the most under diagnosed diseases in women, with more women dying from heart disease than breast cancer. By age forty, one in two individuals are diagnosed with high blood pressure which contributes to heart disease.